Former Blue Jay Michael Saunders and triple-A outfielder Dalton Pompey headline Canada's 24-man roster for the Pan American Games qualifying tournament, Baseball Canada announced Wednesday. The eight-team qualifier — which also features Colombia, the Dominican Republic, Mexico, Nicaragua, Panama, Venezuela and host Brazil — runs Jan. 29 to Feb. 3 with the top four teams gaining entry into the Pan Am Games in Lima, Peru this summer. 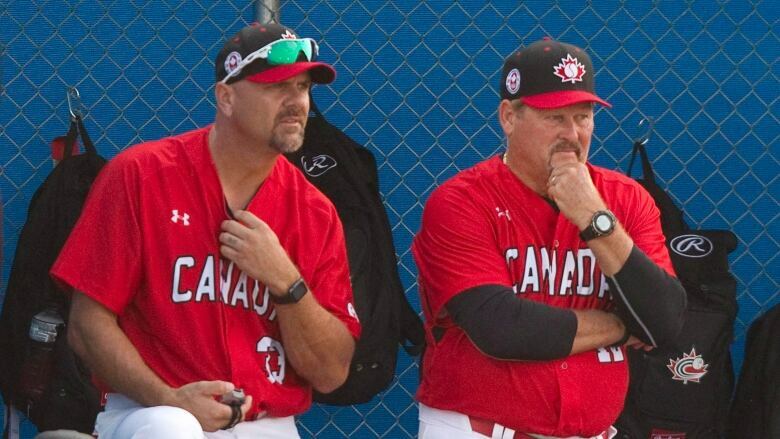 "It's always an honour to coach Team Canada," Whitt said in a statement. "I'm looking forward to working with our coaching staff and this talented group of players with the goal of qualifying for the Pan Am Games." Larry Walker, Denis Boucher, Paul Quantrill, and Greg Hamilton join Whitt's coaching staff along with Tim Leiper, the former Toronto first base coach who was let go by the team this off-season. Canada's roster features seven players with big league experience including right-handers Scott Richmond, Phillippe Aumont, Chris Leroux and Dustin Molleken, left-hander Adam Loewen, and outfielders Saunders and Pompey. Pompey will be joined on the roster by younger brother Tristan Pompey, a third-round draft pick by the Miami Marlins in 2018. The 21-year-old, also an outfielder, was a standout on the University of Kentucky's baseball team for three seasons.